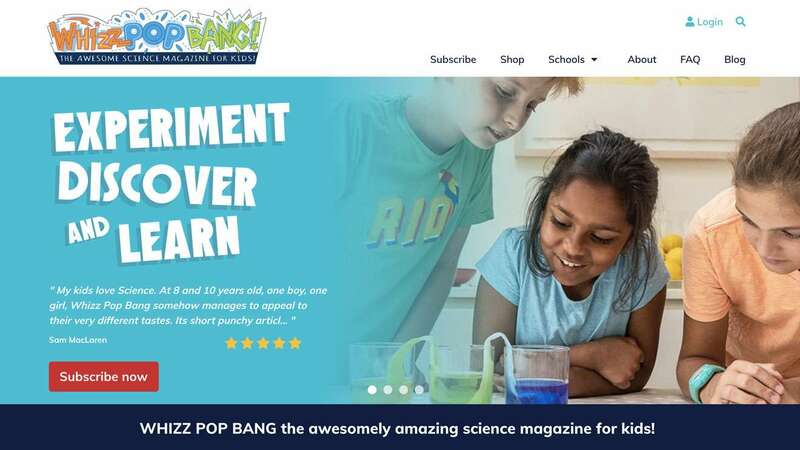 Whizz Pop Bang publish an award-winning science magazine for children. Their off-the-shelf subscription platform was holding them back so they contacted Eyes Down for a bespoke solution. A tailor-made checkout now allows Whizz Pop Bang to align their product with their on-screen ordering process. It currently enables subscribers to choose between one-off or recurring UK or international subscriptions in the currency of their choice. There is also an integrated standard e-commerce function for handling the ordering of binders, back issues and other products the company decide to offer. Whizz Pop Bang no longer have their hands tied. The flexible and intuitive CMS we have built for them gives them full access to add and amend subscriptions and products, create new landing pages and manage customer accounts. Whizz Pop Bang also offer subscription packages for teachers which include access to digital educational resources. There are a number of standard packages or teachers can customise their own. The new bespoke platform enables administrators to set up and manage individual teacher accounts and control access to the resources. The subscription platform is integrated with a sophisticated payment system which manages recurring credit card and PayPal payments and includes a workflow for capturing failed payments and expired cards. Customers can also apply promotional coupons to activate discounts. A comprehensive reporting system enables the business owners to keep an eye on sales data and ensure orders are being fulfilled according to their monthly cycle. Although Whizz Pop Bang came to us to sort out the functional limitations of their customer-facing interface, it was important to focus on aesthetic properties too. As the magazines are aimed at children, the visual design needed to be bold and colourful with plenty of visual imagery. Eyes Down have combined a bright and lively design with a clear and unfussy navigation and ordering function.